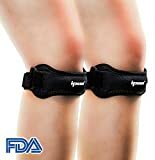 Vertaloc Knee Brace – Does It Actually Help With Knee Pain? For those who are dealing with excruciating pain in knees, vertaloc knee brace is the perfect product for you. Get to know the product, features, reviews right here. Osteoarthritis is one of the common health conditions seen in elderly people. It causes pain and inflammation in joints thus hindering daily activities such as walking, daily chores, etc. Even if small moments of rest in between tasks can trigger a natural pain in knees. As a result, you have trouble walking as you have sharp pain while moving the knee. 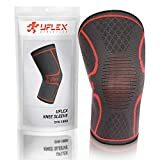 As an alternative to surgery and antibiotic treatment, you will find knee brace that are recommended for knee alignment correction and relief from joint pain. In fact, it is considered one of the safe alternatives apart from physical therapy. 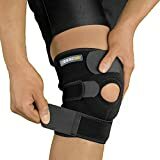 What is Vertaloc knee brace? The vertaloc knee brace is designed to give you much comfort and stability while walking or doing household chores. As seen in the vertaloc knee brace commercial, the product is specifically designed for seniors above age 65. If you are suffering from knee pain due to arthritis, mild fracture, osteoarthritis, strain while walking, rheumatoid arthritis etc., then this is best recommended. The vertaloc knee brace is designed to give you much comfort and stability while walking or doing household chores. The knee brace relieves you from pain and is clinically proven to redistribute weight across the knees. The Vertaloc Dynamic Knee Brace is an easy-to-use. A doctor approved the device, this customized lateral technology gives you freedom from uncalled surgery or treatment methods that can burn a hole in your pocket. All the products of vertaloc have been PDAC approved. This ensures you that you will be provided with proper billing info. This ensures you hassle-free payment from any insurance and health benefit programs. 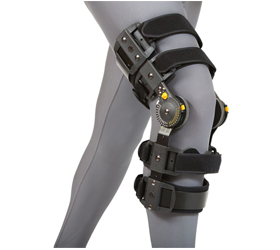 Currently, there are two models of vertaloc knee brace available. 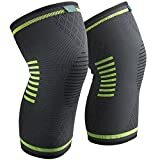 How does Vertaloc knee brace work? The prominent feature of the vertaloc knee brace is to control the mild-moderate levels of medial lateral movement. The hinges attached to the brace are adjustable and helps you customize the range of motion. The flexible hinges allows the medical practitioner to set the mobility limits on extension, flection etc. It also supports the patient to ease the mobility while maintaining the guidelines. While there is no ultimate cure for arthritis, the right kind of knee brace has the ability to slow down the degenerative process. The knee brace relieves you from pain and is clinically proven to redistribute weight across the knees. It supports the patients to walk easily a good mile. The upright design accommodates wide range of leg shapes and is a great choice for those who are looking for a sleek and lightweight design. The 3D design enables you to walk normally without putting pressure on your knees. The Vertaloc Dynamic Knee Brace is an easy-to-use, portable product that is designed for those dealing with mild to moderate levels of OA. It has a belt-type appearance with adjustable hinges. A snap to wear, you can use this product for supporting you in daily activities, walking or any other everyday routine. It also helps those who are suffering from sprains, mild fractures etc. by supporting the movement and alleviating any pain. The Max OA knee brace is designed for elders above 65 years of age or people who are suffering from moderate to severe arthritis pain. It assists the patient in getting back to active lifestyle without keeping them constrained to a particular place. A lightweight product, it comes with fully adjustable motion hinges that gives rotation control. This is slightly an advanced product than the former and hence tends to be bit on the expensive side. The vertaloc knee brace review are quite good. People have loved the product and claim it a safe and healthy alternative to pills or surgery. The brace is well made and comes with velcro straps that hold the product in place. You will also find metal stops and other accessories along with the complete closure system. The customer service, packaging, delivery etc. are also factors that have got a good score among users. Here are few of Vertaloc complaints. One frequent issue seen is that the Vertaloc Max OA Knee Brace can be bulky at times. Another complaint is that the product does not assist much support for mobility. Size is a factor that needs to be looked into before ordering a product. This is mainly people feel that the product does not match the expectations. Vertaloc provides size charts that will help you find the right knee brace. Stating the obvious, if you are wearing the wrong size, it would certainly be discomforting. You would also find that the official website neither carries any shipping policy, return policy nor does it mention the price. This can be challenging and make consumers look elsewhere. If Vertaloc wants a steady fan following, they better make the site much more informative ASAP. Here are few of the Vertaloc knee brace reviews straight from the heart of users. All the products of Vertaloc comes with one year warranty from the date of purchase to be free of material and workmanship defects. Neither is there any info regarding return policy nor is there any info about shipping details. The only way to know such vital information is by contacting the customer care. Just like any other product, there are both advantages and disadvantages of Vertaloc. Here are few of them. Don’t miss a deal. Simply subscribe to newsletters that offer you excellent discount coupons and promotional deals. It will keep you posted on the latest offers so that you can purchase knee braces and other Vertaloc products at an economical price. What is the vertaloc phone number? Here is the phone number of vertaloc customer care – 855-VERTALOC (855-837-8256). 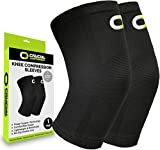 Where can I find vertaloc knee brace instructions? The official website of Vertaloc carries instructions pertaining to particular product. Check out the link at http://vertaloc.com/instructions/. 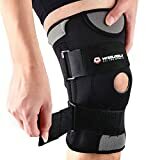 What is the price of vertaloc knee brace? The vertaloc knee brace cost is not available in the website. However, based on other marketing websites, the price ranges from $50-$100. What is the address of vertaloc office? The headquarters of vertaloc is located at P.O. Box 1271, New York, NY 10159. Are Vertaloc products available in Amazon? Yes, you can purchase vertaloc products at Amazon. If you or your family member is dealing with arthritis knee pain, then Vertaloc is the product for you. Of course, there are certain disadvantages seen but inspite of it, users seem to love the product. This is a rare-see which is what is keeping the company on a top position.